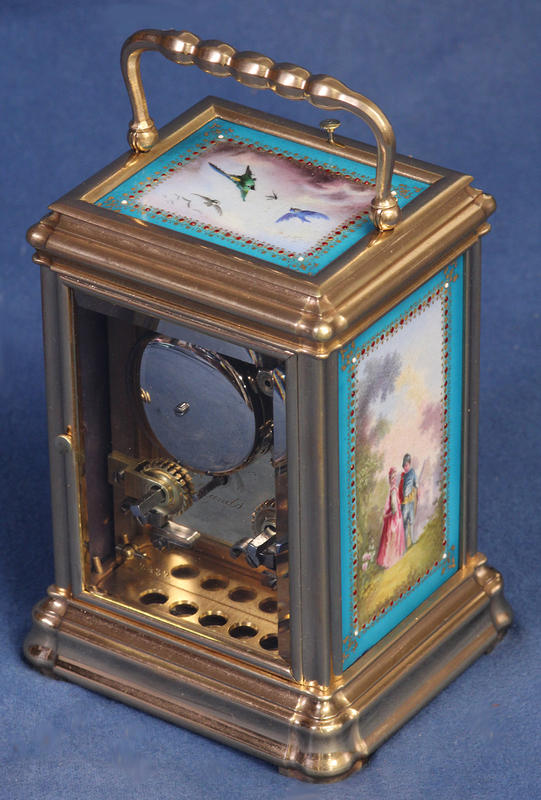 The gilt-bronze gorge case with pinched corners and a hinged handle above has porcelain panels to the sides and top and beveled glasses to the front and back. 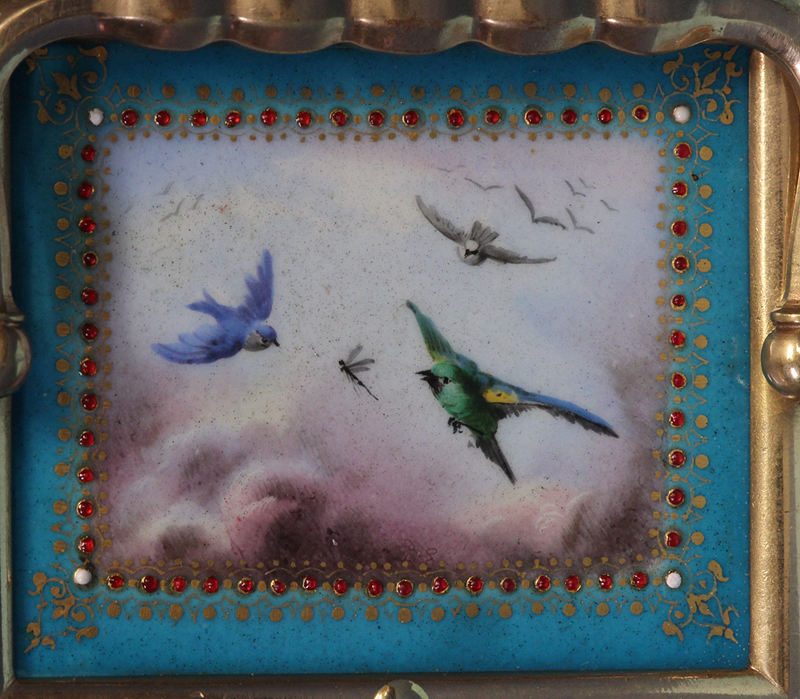 The polychrome porcelain side panels depict romantic scenes within idyllic landscapes while the top has flying birds. 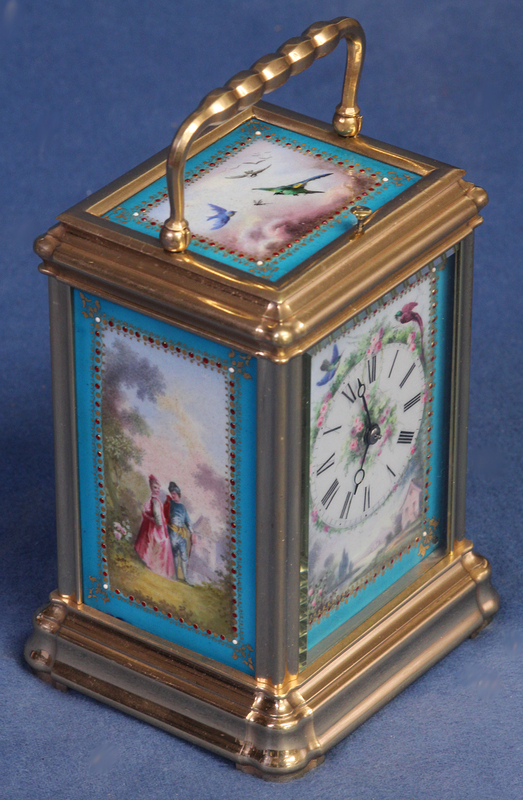 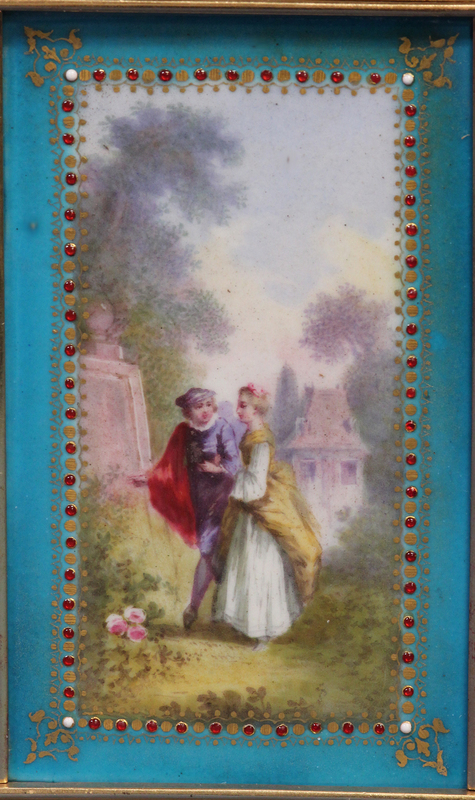 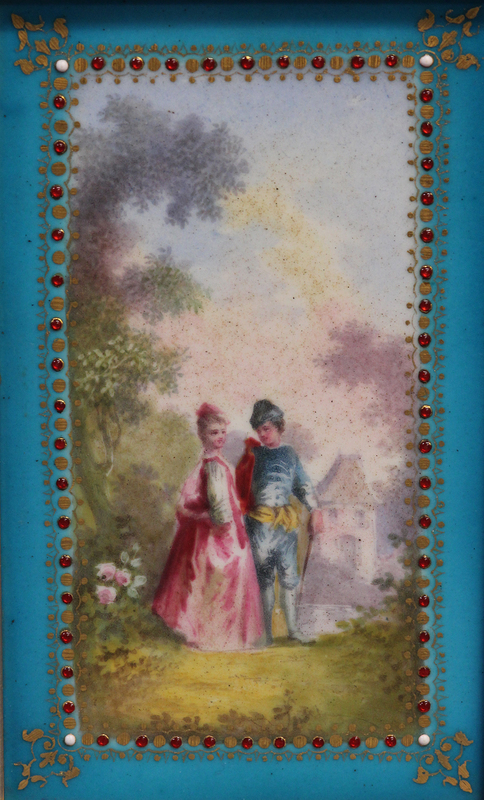 They all have blue surrounds accentuated by red and white seed pearls and gilt floral designs. 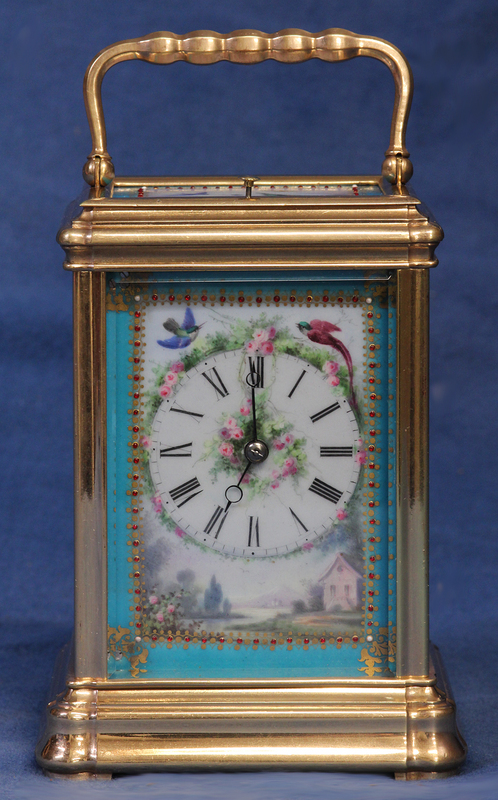 The matching porcelain dial depicts an idyllic landscape with flowers and flying birds, has a blue border with gilt decoration and red and white seed pearls, Roman numerals for the hours and steel Breguet-style hands. 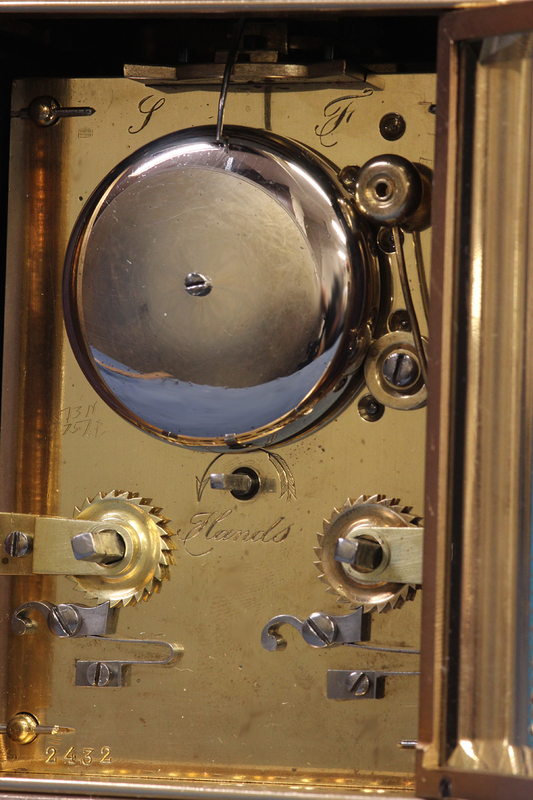 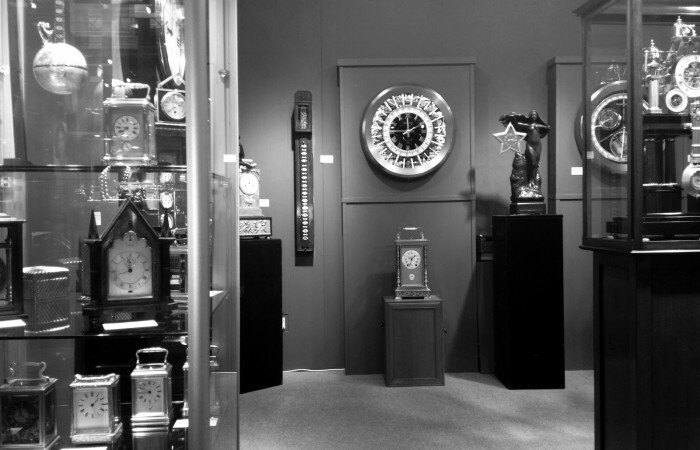 The eight day time and strike movement is wound and set off the backplate, retains the original lever balance platform, strikes on a bell, is stamped 2432 and has finely engraved indications in English.